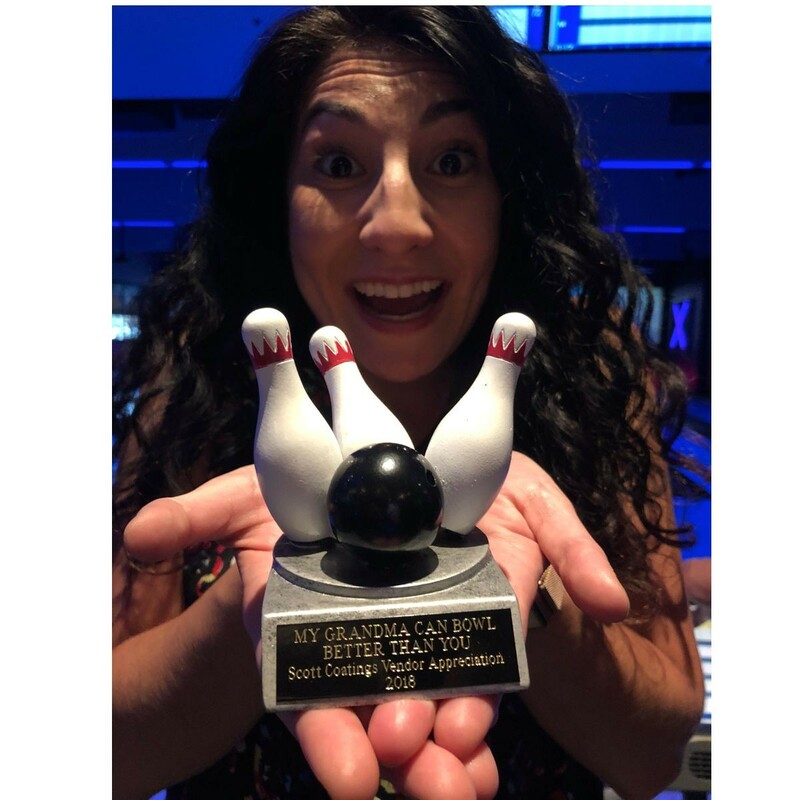 Any bowling champ will appreciate this Color Resin Bowling Ball and Pins Bowling Award. 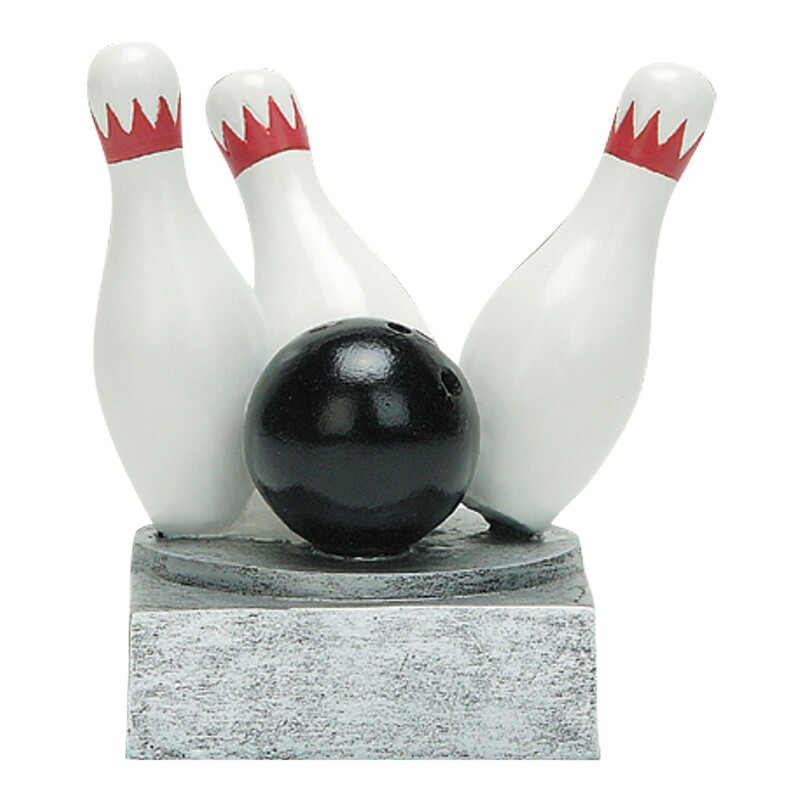 This 4" tall bowling bowling award features a black bowling ball striking three white and red bowling pins on a silver base. Price includes up to 3 lines of engraving on a black and brass plate that will be attached to the base of the bowling award. This is a great low-key bowling award that makes a great desk ornament and paper weight. We also have a wide range of bowling trophies, bowling plaques and acrylic bowling awards to choose from!